Your inner clock is ticking. Is something telling you that it's time to make a change or two in your life? Is it your career, your relationships with your friends or your health and well-being? Astrology is like a universal toolbox with amazing tools to help you look at these areas of your life from a new and different angle. Working with this ancient and effective science, we can create a natal chart for you and look at the areas that are creating your concerns. Which planets are working out there and what do they tell you? The following sessions will be offered on the first Saturday of each month starting October 2014, 3:00-5:00 pm at our house. Directions will be sent when you sign up. Just $25 per session. During this session we'll all have a look at our Natal Charts and determine what kind of element is dominant and which one might be missing. Which qualities are prominent? Cardinal, fixed or mutable? Where in the chart are most of the planets found? In what part of the horoscope are you strong? Come join us and get your answers! 2. What's Coming up this Year? There are certain areas in our charts that need some tweaking and changes. Saturn, for example, encourages us to move in that direction of change. He asks us to face reality and look at things we may not really want to look at. We'll grow and mature if we act upon his request. Come and join us for this rejuvenating journey. 3. How's your Career and Financial situation? Does your career satisfy you or are you having difficulties reaching your professional goals? Are you managing to balance your checkbook and come out on the plus side at the end of each month? Let's all look at our charts for personalized and practical suggestions. 4. How's your Love Life? Do you wish to know more about your relationships with that special person? Your Natal charts will give you an indication of the kind of person with whom you are most compatible and can best get along with. This can be a real life-changing experience! 5. What kind of Past Lives did you live through? We'll look closely at your Karma, your life's past, present and future, Lunar Nodes will help us do this most revealing work. Change your Karma, change your Life! 6. What about Astrology and Health? 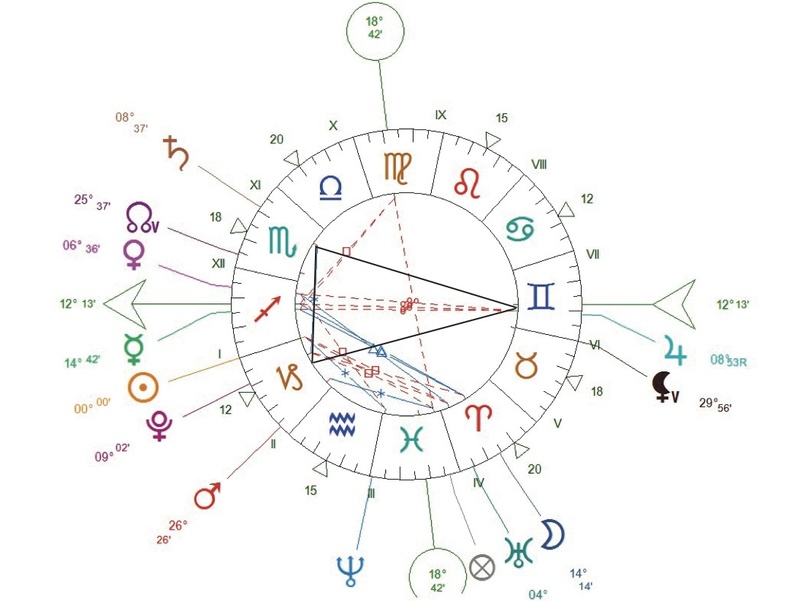 Each sign of the zodiac governs a specific part of the body (like astrological acupuncture) and this dates back to Hippocrates, the father of medicine. We'll go through each sign pointing to the strongest and weakest area for a person born under a certain sign. Come and find out for yourself, your health and the health of your loved ones. 7. Is it true that My Name is No Accident? Your name is made up of letters and as will be shown each letter has a numerical value. Once these values are added up and a final number is found, this number is given meaning. We'll also find out what the number of your personal year is, as well as your life path number. You'll be amazed by the science of numerology and have fun time together. "This is the best astrology class you have ever taught that I've taken from anyone. I understand more about my astrology chart than I've ever had and it has provided great insight into who I am." "I have really enjoyed this class. I would like to continue. We have just begun and there is work to be done! Let's keep going….Thank you." "Enjoyed the class very much. Barbel is so prepared for each session. I go home feeling I have learned and shared so much." "I learned much and enjoyed our class. Delectable snacks, friendly environment, well prepared material, easy to follow, simple but to the point instructions. Nothing to improve upon. Thanks!" "The class was perfect, Madame!" "I thought you laid out everything so that it was clearly understandable (even to me) and there wasn't too much info. I really want to come again when I can." • The cost per session will be only $25. • If you opt for all 6 sessions, the price is only $125. • Classes will be limited to 15 participants. Prefer to pay at the door or by check? Ready to jumpstart your new plans or to play new tunes on your iPod? Well, Jupiter is the planet ready to accompany you. He' ll inspire you to finally purchase that long-yearned-for spiffy and sparky new Spring hat and to whistle along to that new tune you just loaded onto your iPod: April in Paris. He urges you to expand into new areas of experience and to improve whatever area of life it is influencing at the moment. Jupiter is found in the sign of Gemini these days and will be lodging there until the end of July. Gemini, being an air sign and coupled with Jupiter, will make us mentally more mindful and even more adventurous, more willing to learn and to expand our mind. 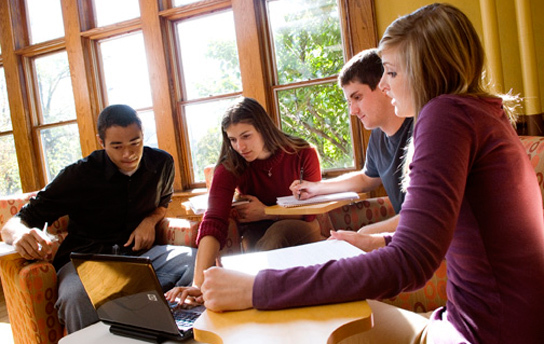 We'll see new opportunities to express our ideas, our cleverness and ingenuity. Don't hesitate to pen down that funny poem which was running through your head at 2 am this morning. Read your newly written verses to your Honey and see what he has to say. Nothing or no one can stop you now. Saturn transits Scorpio and that is quite a different ballgame. Saturn brings us face to face with our tasks and is ready to dampen our atmosphere with deceptions, frustrations and doubts until we have cleared up our nagging problems. He obliges us to build strong foundations for ourselves so that we can courageously fend for ourselves. In Scorpio he leads us to the darkest places within ourselves and obliges us to have a good and hard look at ourselves. He asks us to live our life truthfully and by hook or by crook makes us face the issues we have avoided for years and years. No keeping these issues buried under the rug and ignoring them. He'll oblige them to crawl out by one so we can have a good and hard look at them. Do you have the courage to brave what lies ahead? The night always looks the darkest before the break of dawn. Let's all embrace that moment and rest assured that we'll have the strength to go through these experiences because they'll allow us to be rebirthed and to be transformed. May we all move through these transits with courage and faith. December 21st 2012 is the day everyone is talking about. 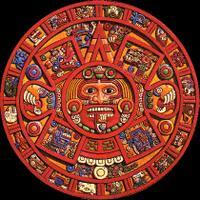 It's the last day of the Mayan Calendar. 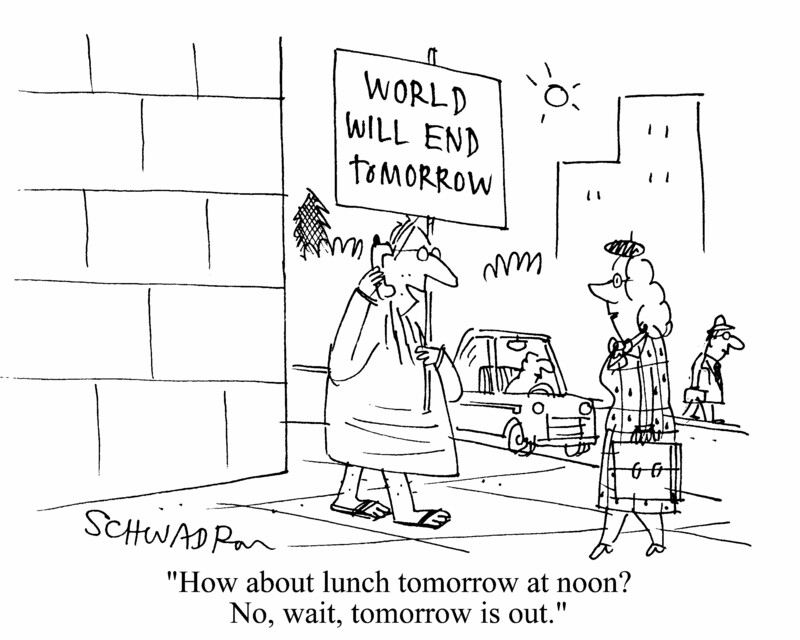 Some say it will be the last day of the world as we know it. Does it make you nervous or are you waiting to see what happens? The Maya people lived on the Yucatan peninsula, where they built pyramids and temples to their deities. Not only were the Maya very attentive astrologers but also numerologists, who were most attentive to the phenomena of cycles. They calculated that the last cycle, called the Great Cycle, will end on December the 21st and at that time our solar system will align with the Milky Way. What an extraordinary event because this takes place only every 26,000 years. So a new cycle will begin on that day. Isn’t that exciting? We certainly stand at the threshold of a new consciousness. The astrological chart mounted for that awesome day is special too. It has an exceptional planetary configuration, which is called the Yod. The Finger of God. 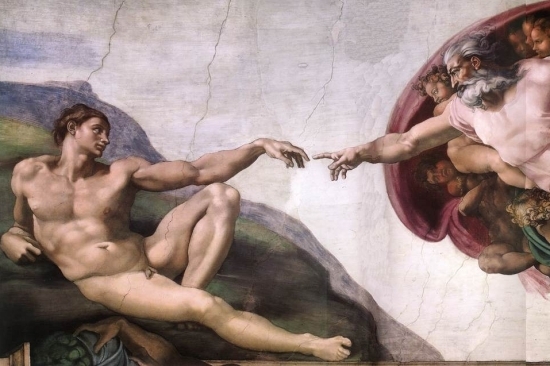 Remember Michelangelo’s painting in the Sistine chapel of the Finger of God? A wonderful image to keep in mind. This Yod is in the shape of a Y, with Pluto and Saturn at the top of the fork and Jupiter at the receiving end. He is the star of this configuration with all heavenly planets shining on him. He triggers this transit telling us to grow and to awake to a new consciousness. It's time to stop waiting to see what happens...make it happen! Starting this month, a new family of solar and lunar eclipses is upon us. • Eclipses arrive in pairs and they come 2 weeks apart. For example the solar eclipse will take place on November 13 in Scorpio and the lunar eclipse on November 28 in Gemini. These pairs of eclipses are usually 5 and a half months apart and so the next solar and lunar eclipse will take place in May 2013. • The sign in which the solar or the lunar eclipse takes place should be well noted. For example the solar eclipse will take place at 21 degrees Scorpio and if you have a natal planet that is placed close to that degree or is opposite to that degree, this solar eclipse will create important changes and new developments for you that will require your attention. Being in Scorpio, the focus will be particularly on your emotions. Maybe you have lost a dear one or may be you feel painful emotions due to difficult, past experiences or traumatisms. The Universe invites you to transform them and to let them go of old patterns so that you can adopt new ones. • At the moment of eclipse time our timetables usually accelerate so that conditions are created over which we have no control. These conditions force us to make decisions which will incite us to act or shift our position. The Universe uses these eclipses as tools to make us move to a more fulfilling life and existence upon this earth. which takes place at the time of the solar eclipse, and for an end at the time of the lunar eclipse. You will assuredly see life differently at the end of this series of eclipses. Here are some tips which will help you to cope better with the eclipses. At eclipse time, keep your schedule light. Take notice of news and signals you get from an eclipse. Bide your time when the eclipse takes place and try not to undertake major actions. Take notice that the eclipses usually shine a glaring ray of truth on areas in your life which need to be transformed. 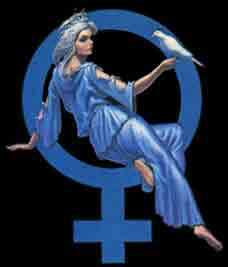 Aquarian, an air sign, then the eclipse can be considered friendly if it falls in the air signs of Gemini or Libra. So if you are an avid eclipse watcher, the southern part of Australia beckons you since it is here that the total solar eclipse will be the ideal place to watch the total solar eclipse. As for the lunar eclipse, you’d better head for southern South America or cold and icy Antarctica. so that these eclipses will be helpers for you along the way. "Riding the Wave of Change"
Are you ready to ride the wave of change? Saturn will enter the sign of Scorpio on October 6th and hopefully you are ready to face the challenges that this sign brings along with it. Take responsibility for your life and live it to the fullest! Are you ready to ride the wave that Saturn represents in his transits throughout the zodiac? Are you ready to take on the transformation that he so clearly indicates in the different signs? It’s now or never, dear readers! Time to make a decision! Saturn’s transits give us a chance for change. For the past two and a half years he has resided in Libra and he has pointed to all our relationships for all that time. This is where the change is to take place. His transit in Libra, the sign of fairness and equality, offers you a chance to examine the states of your one-to one relationships. 1) What are my goals in a relationship? 2) Am I living out true equality in my relationship? 3) Do I allow my partnership to limit me? 4) Am I giving more than taking? Everyone agrees, change makes people nervous and fidgety, but if you resist change, then that very resistance creates your problems. During your limited time upon this Earth you are offered the opportunity to change, to evolve and grow, to achieve and mature. Easy to write and say but not always easy to live. Let me give you some suggestions to make this all easier for you. Take a hard look at yourself and see if you are flexible and adaptable. No hard shell here that is 100 % shock resistant. How is your communication with others? Is it clear and effective or are you mumbling to yourself and so your dear hubby can’t hear you. As for taking responsibility for yourself. Don’t blame others for making mistakes that are really yours to accept. All this will get you absolutely nowhere. My best wishes ride with you. ps Do take the time to wink at those celestial spheres now and then. So, you’ve been thinking about getting married for the past two years and with the Saturn Return, now you will probably just go ahead and get married. Or finally decide to buy your first new home. The doors to new and exciting opportunities are finally opening for you. Saturn is our great teacher. When he passes over one of our natal planets on our astrological chart, there is no stopping him. He goes direct and retrograde and his lessons are life lessons for us to learn so that we continue on our path in a more mature way. What’s with all this Saturn cycle business? The completion of the first Saturn cycle usually happens when we are 29 or 30 years old. From early life and childhood on, we act according to programs set up by our parents, by the schools we attend or by the expectations of society. At the age of 30, when Saturn reaches the point of Return, this is a time when the old structures are broken up and new ones will be created. There will be a transition period between our holding on to our old principles and beginning to experience new ones. It may take two or two and a half years until you really have your feet firmly on the on the ground - until you get your bearing in this new environment. In any case, because you will have more power and energy at this time, it’s the right time to begin to take responsibility for yourself and for your experiences. She was born in 1975. Add 30 years to that year and her Saturn return would be in 2005. This is the year that she acted in the action-comedy “Mr. and Mrs. Smith” starring Brad Pitt opposite her. The movie was lauded for the chemistry that took place between the two leads, and as for their relationship, it became of great renown throughout the rest of the world. They became known as the “Brangelina” couple. In general, the Saturn Return is the time when the doors will open for us pointing the way to numerous opportunities and alternatives. We’ll feel more free and detached and our creativity and capability comes forth in a more pronounced way. Now is the time for you to act boldly, to work extra hard and to live like never before in the present. This is the time to really feel free! To all of you, best wishes for making the very best of your Saturn Returns. 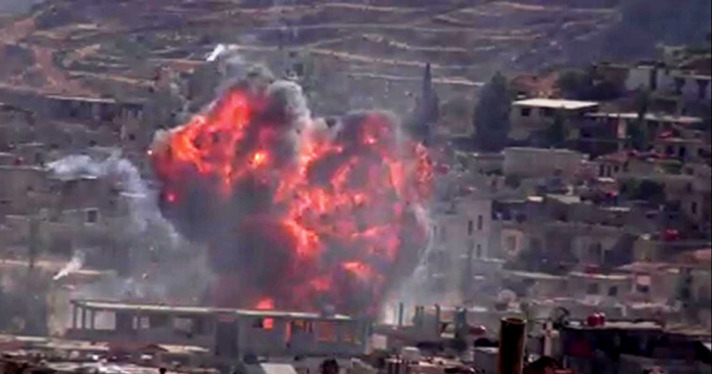 and at the same time I hear the news headlines about the assassination of several Syrian ministers. Shocking news to say the least and so guess where I am heading to upon hearing that important event? To my Ephemeris Book in order to get a detailed view of the position of the planets for this very day. give us a high tide warning - there is a storm coming up. These three planets are all in dissonant aspects to each other and create extraordinary tension in the heavenly spheres. Let’s look at each planet a little more closely. 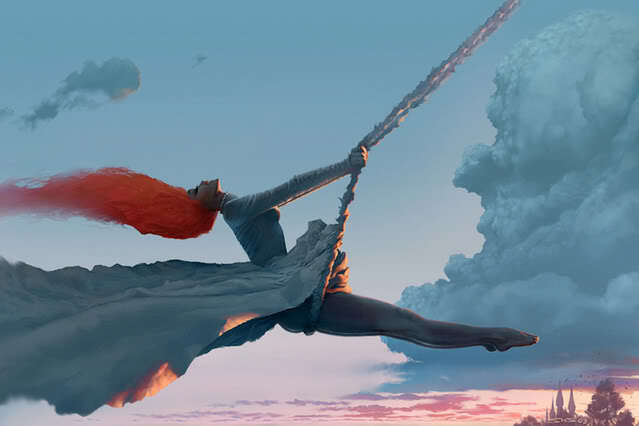 Mars, a masculine planet, wants to satisfy his personal desires and will certainly fly into a rage. With the position of Uranus, planet of liberty and freedom, in opposition, this indicates that the waves of change are upon us. The result of the encounter of the two planets made today happen. will ignite a regional wildfire. June 24th, the day of the first alignment of Uranus and Pluto, the day that many astrologers have been awaiting for years. So what is all the fuss about? Uranus and Pluto will be locked in a square, an aspect of friction, for the first time. It is the first square of six other squares to come, the last of which is on May 17, 2015. So why all the uproar and how does that affect us? Before responding, let us first look at the meaning of these two planets. Uranus represents liberation, revolution, surprise while Pluto is more the conservative type of tradition, power, structure. When these two come face to face, a struggle ensues between the forces of change and revolution and the forces of preservation. The headwinds of these two forces are blowing and you’ll have to make a decision. One or the other? Thus the innovative Uranus square Pluto cycle begins. It could be compared to a boxing match with both planets, representing two boxers duking it out. You are the referee. Who will be the winner of this competition for your fate? Which way forward will you choose? This is your opportunity for building yourself a better world. New ideas will create new spaces and new forms of relationships. You are the creator and the true Source of Power is within you. "Venus, the Brightest of the Stars in the Heavens "
Venus is throwing us into a tizzy these days using all her tricks trying to catch our attention. Retrograding and transiting - isn’t that enough to make your head spin? Retrograding? What are we talking about? What do you mean by retrograde? It’s like your car being in reverse. Instead of going forward, there are times when you need to back up, take stock of the situation and then move forwards. Well, our superstar is doing exactly that. On May 16 Venus was placed at 23 degrees and 59 minutes in Gemini and the following day she was charted at 23 degrees 57 minutes. Going backwards, in plain language. She will continue doing this until June 28 when she will be at 7 degrees 29 minutes. That very day she will get into gear again and become direct as we say in Astrology. what does that mean for us, for all of us in our daily lives? Venus represents relationships, love and financial profits. During this retrograde period, the visible aspects of these take on less importance and our inner world is what’s important. Think about your feelings and your needs. How can your life be more fulfilled? Have you lost pleasure and interest in what you are doing? Do you have enough time to devote to the children as you would like to? You don’t neglect putting time aside for yourself, do you? This is the ideal time for serious reflection upon these and other topics. Wishing you moments of quiet time, moments of being at peace with yourself…. with the change of signs (leaving Taurus and going into Gemini), Venus going retrograde, and to top it all off, a Solar Eclipse accompanied by the New Moon. Let’s look at the Solar Eclipse and the New Moon. A Solar Eclipse occurs when the moon passes between the sun and the earth, the moon partially blocking the sun. 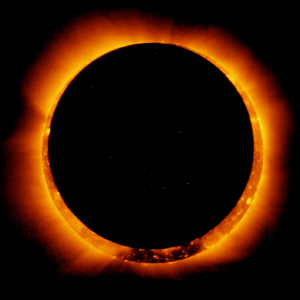 The Eclipse can happen only during a New Moon period when the sun and the moon are in conjunction and that is the case on this Sunday, the 20th of May, 2012.
be particularly attentive how your energy flows concerning communication, connecting with others and maybe even the stones as seen above. Your thoughts, curiosity and open-mindedness are included as well. This energy will pervade for 6 months, which will give us lots of time to make the adjustments we need to make. 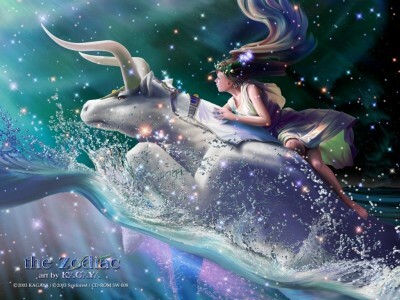 The "New Moon in Taurus"
It took place yesterday, April 21st at exactly 3 am E.S.T. I didn’t expect you to be up and out of bed at that time, but on this following morning, think about that New Moon. It brings New Beginnings and opens New Doors. The New Moon occurs about every 29 and a half days and it aligns with the Sun in one of the 12 signs. This time it is Taurus. This New Moon will stimulate certain issues that are pertinent to that sign. For example as we are in Taurus and Taurus is concerned with money, there might be some problems concerning your finances. Other possible issues might be: physical comfort, self-confidence and stubbornness. Making a list of wishes and doing a little meditation around these particular points of matter would be a good idea. It will allow you to be more peaceful and centered on these particular issues mentioned above. Be like "Ferdinand" below – leave the bullring and get back to your peaceful meadow...to smell the flowers. Barbel's new blog has launched HERE on Wordpress. This blog provides her readers to open discussions with her and fellow readers online. Every week, Barbel posts a new topic and insight and welcomes your comments and suggestions for additions to the website and blog. If you click on the "Follow" tab at the bottom of the blog's page, you will be notified of each new post as it goes live. We'll see you there! A recent presentation about "Mars in 4 Elements"
again in Hillsborough on April 18th. Click HERE to see and hear the presentation.